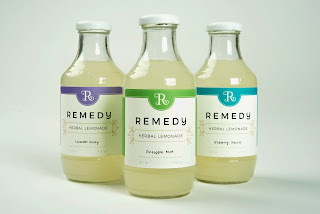 Remedy is an all-natural lemonade infused with beneficial herbs for your health. Not only is it delicious, but the combination of herbs can improve your health. 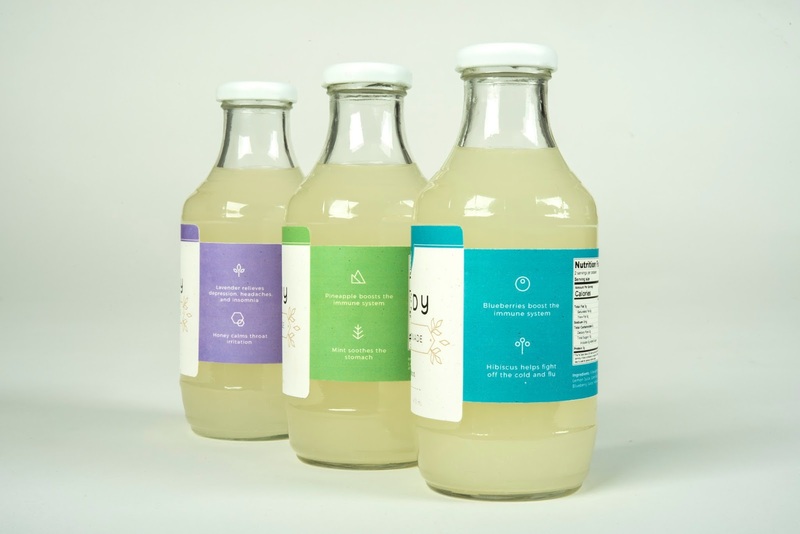 From the soothing effects of lavender, to the digestive benefits of mint, these drinks are a way to take care of your body in an easy and fun way. The drink can be a good introduction to making healthier decisions about what to put in your body. 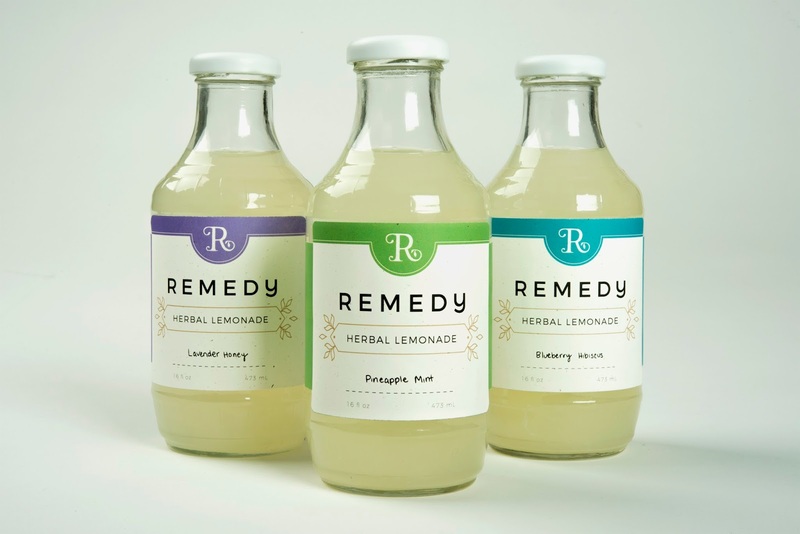 Even though herbal lemonades can be found at farmer’s markets or made at home, there just weren’t many brands available in stores. This product changes that by making them readily available anywhere. 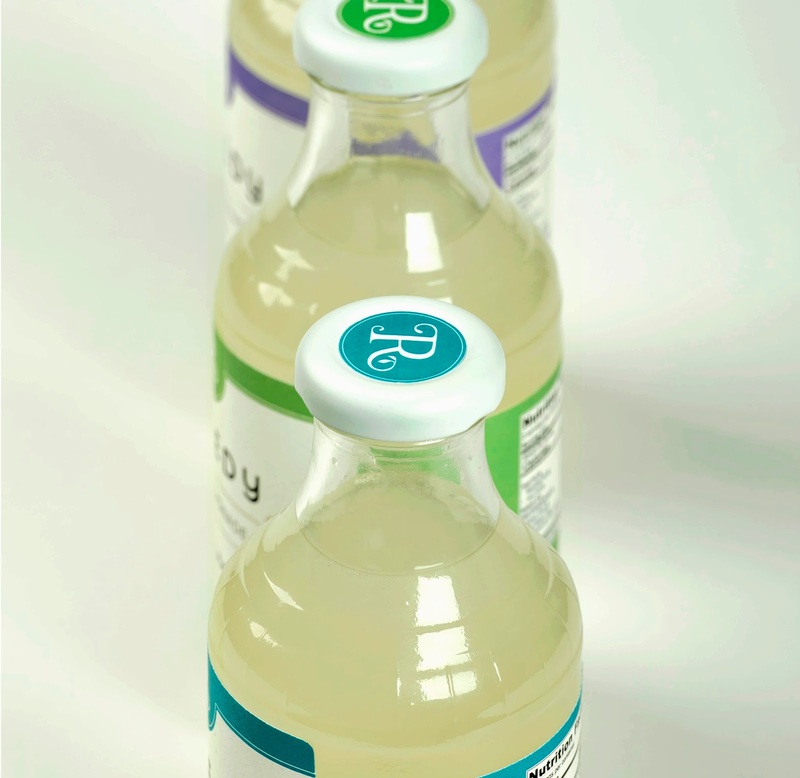 The packaging was also made to stand out among the clutter of loud packaging on shelves. Embracing the idea of vintage medical bottles and modern design, this product conveys its trustworthiness while still being trendy and current. 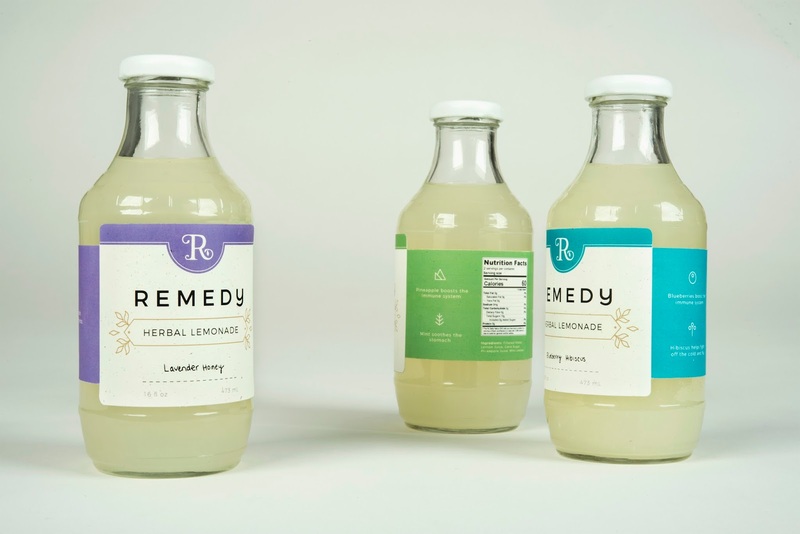 The handwriting for the packaging is meant to tie back to the homemade nature of herbal lemonade.